Clan an Craite takes the throne of Skellige in this capstone to multiple quests so far. Coronation becomes available after completing Possession, The Lord of Undvik and King’s Gambit. It is an important step in securing Skelligan support in Brothers in Arms: Skellige. The quest itself is a non-event; either travel to the starting point on your tod, or agree to go straight there with Crach an Craite at the end of King’s Gambit. Watch the coronation and optionally speak with the chosen ruler afterwards. You can chat with a few other friendly faces around the scene too. That’s it really. You’re now in a prime position to complete some important nearby secondary quests, if you like – there are some good Gwent cards available via the nearby druids’ quests. 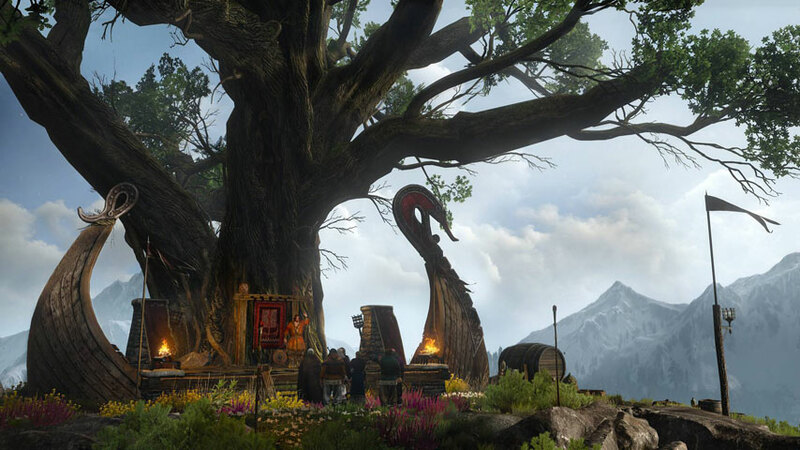 Back to Brothers in Arms: Skellige, or back to The Witcher 3: Skellige secondary quests.